Leave Time 9:00am, be gassed up and ready to go, please. Let me preface this ride by saying, I do a lot of teasing about riding fast. That is something I do when it is just a me and a few friends and on roads I know. The rides I lead will be speed limit or even below at times. These are roads I have NEVER been on and I'm not about to put myself in jeopardy or anyone else. If you want to go faster, learn the route and knock yourself out. This ride is all about riding and the roads. I have done the best I could from afar by picking out the most scenic route and not making it a 12 hour day Having said that this will still be our longest day of riding. Our lunch stop is a picnic stop. Pack a lunch or our first stop will be at a place that will allow for sandwiches etc to pack. Also here grab something to throw in a cool or an iced top box ;) for lunch. After Lock Haven we will head west and ride along the river to Westport. At Westport we will head north to Kettle Creek. From Jersey Shore, we will head "home". What I would like for you all to do is familiarize yourselves as much as possible with the route. I am a big believer in not making turns with out everyone but this might be harder given the size of our group and the roads we are riding. I will lead this ride and Pete will be my sweeper. I am hoping he and I will be able to stay in contact at all times via our phones and Scala units but who knows what the coverage will be. When we are at the rally, I will have a pertinent information pack ready including phone numbers etc. Maggie I will program this route into my gps. I get what you mean route planning from a distance, I think you did a great job. I went to google maps and on a few of the places I went to street view for a look around. Very nice. Steve and I are switching days... This ride will be Friday. I have changed our second gas stop to Jersey Shore. That will be 109 miles after Lock Haven. I skipped Waterville because there are two cash pumps only. It will take us forever to gas up. There is a larger station in Jersey Shore on way back them seems more prudent. The person that named that town had to be drunk! I updated the route just a hair in Jersey Shore to allow for the gas station stop. 1. Turn Left out of Steel Steeds, go North on 405 for 1.2 miles to 45, turn left. 2. Follow 45W for 1.0 miles to 15, turn right. 3. Get in left lane and follow 15N for .4 miles to 192 (Buffalo Road), turn left. 4. Follow 192W for 22.7 miles to 477, turn right. AT this Intersection, I will make the turn and we will line up single file. I will get off my bike and insure we are all together before proceeding. .
5. Follow 477N for 17.6miles to 64, turn right. This is the part I want you all to learn well because this area will be more congested. 6. Follow 64 for 1.9 miles, to 150 (Hogan Blvd), turn right. 7. Follow 150 (Hogan Blvd) for .4 miles to Sheetz Gas Station, turn right. I realize we have only traveled about 50+ miles but everyone will need to gas up as our next gas stop from this station will be 109 miles. We will also allow for time to grab lunch items for our picnic at Kettle Creek State Park. We can regroup after gassing up behind the gas station as there is a huge parking lot there. 8. Turn right out of Sheetz and follow 150 (Hogan Blvd) for 1.9 miles to N. Fairview Street (look for 120W sign), turn left. 9. N Fairview becomes 120W, follow for 33.7 miles to Kettle Creek Road, turn right. Just before we make this turn there is the Kettle Creek Inn, we will pull in here to regroup and insure we are all together. 10. 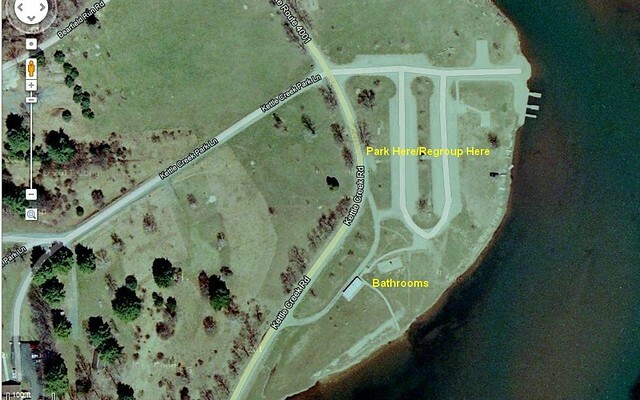 Follow Kettle Creek Road (State Road 4001) 9.3 miles to the Park, turn right There will be bathrooms here. We will allow for an hour stop, we will park/regroup at the boat ramps near Kettle Creek boat launch. There are picnic table all around the area especially just across the road under trees. If there are a lot of spots taken here we can park across the road. 11. Turn right out of Kettle Creek heading north on Kettle Creek Road for 20.7 miles to 44, turn right. Again, we will pull to side before turn in single file. I will dismount and insure we are all together before making the turn. 12. Follow 44 for 42.0 miles to East Central, turn left. Another section where I need everyone to be sharp and know the route as we are back to a congested area. PLEASE NOTE THIS IS A VERY TRICKY INTERSECTION PLEASE USE CAUTION. 13. Follow E. Central for 1.3 miles to Bridge Street, turn right. The gas station will be on your right in a block. Let’s all gas up here and regroup on the south side on the parking lot area. 14. Turn left onto Allegheny St (becomes 44) follow for 16.4 miles, turn right. We will pull to side before turn in single file. I will dismount and insure we are all together before making the turn. 14(a) Continue on 44 for 7.5 miles to 15, cross 15 staying on 44. 15. Follow 44 1.0 miles to 405, turn right. 16. Follow 405 South 12 miles to Steel Steeds. I meant to mention when I make the stops for us to regroup, I need you all to remain at your bikes. You can stretch etc just do not remove helmets etc, please. Pete and I will try and stay in contact as much as possible so I'm hoping these are very quick re groupings. Edited regarding Kettle Creek info. I talked to a park ranger today. She said parking to the right is the best. There is a restroom here and a lot of picnic tables around this area as well as nice views of the Kettle Creek Reservoir. I forgot the Park Ranger suggests we take the 3 mile hike UP to a mountain for a beautiful vista of Kettle Creek!! 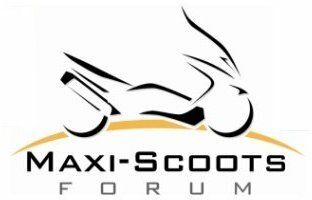 I have a better idea........Someone put knobbies on their scoot so we can take turns climbing the mountain! In this blog post we will see the last two pictures "live"
Ummm there will a small detour on this ride of about 6 miles. I'm saying no more as it is a surprise But it is a DAMN cool surprise, everybody have your cameras! I will explain the detour without revealing the surprise the morning of the ride. Talked to someone in Penn this morning... this "detour" is on for sure. I'm so excited to lead this ride... I dreamed about the route every night for the last three nights. As I go to bed I run all the routes in my head where to turn etc. We will all ride this exact road a week from Friday. 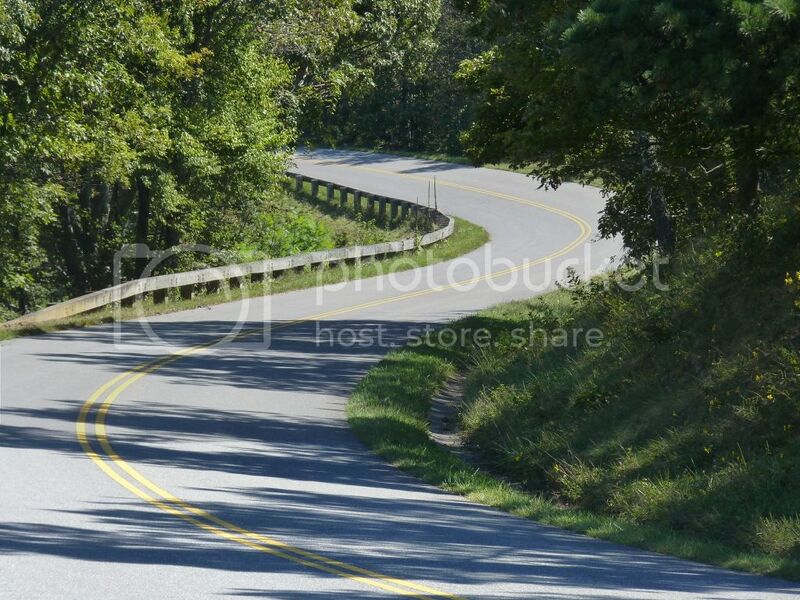 If that curvy road is indicative of the ride route ... it looks great! Looking forard to next week. I have modified the original route. After Jersey Shore, we will follow 44 all the way to 405 INSTEAD of 15. There is some construction on 15 we can avoid this way. 405 is the road Steel Steeds is on. This will make it easier. Just cross the river to 405 and turn right and follow to Steel Steeds. I updated my written instructions as well. I've just finished uploading your route into my gps, thanks Maggie! It was the Hyner View State Park Overlook - elevation 1950 feet.